It’s widely rumored that Samsung could launch three Samsung Galaxy S10 models in the new year, and we now have a better idea of how they might differ in terms of camera configurations. According to South Korean site The Bell, the most basic Samsung Galaxy S10 (which might be called the Samsung Galaxy S10 Lite), will have a 5.8-inch screen and three cameras – two on the back and one on the front. That's already more cameras than the Samsung Galaxy S9, and as many as the Samsung Galaxy S9 Plus, but the standard Samsung Galaxy S10 will apparently have one more lens, for a total of two lenses on the back and two on the front. This phone is also said to have a 6.1-inch screen. 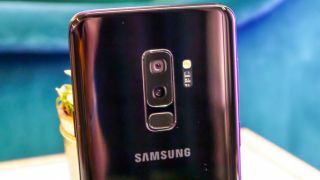 Meanwhile the Samsung Galaxy S10 Plus – or whatever it ships as – is said to have a 6.4-inch screen, two cameras on the front and three on the back, for a total of five lenses. The three on the back apparently consist of a 12MP wide-angle lens, a 16MP super wide-angle one and a 13MP telephoto one. Of these the wide-angle lens is apparently the additional lens, and the combination of the three could allow for 3x optical zoom. However, all the models will apparently offer “significantly improved camera performance”. The same site also talks about a 5G Samsung handset which could have six cameras. We’ve heard about this phone before, though it’s not entirely clear whether this is part of the Galaxy S10 range or something else. As for the three handsets that definitely are meant to be part of the S10 range, this new information largely lines up with what we’ve heard before, although some sources have said the Samsung Galaxy S10 Lite will only have a single-lens rear camera. As ever, we’d take everything we’re hearing with a pinch of salt, since nothing is yet official – but information about the S10 should start getting a lot more official soon, as the range is likely to be announced in early 2019.